As part of the 40th anniversary of the Sydney Gay and Lesbian Mardi Gras there is a mini-program of events at Barangaroo. We cut these translucent acrylic shapes on our Zund cutter and printed the window prints on our Oce Arizona flatbed printer. The art was designed by local artist Lauren Webster. 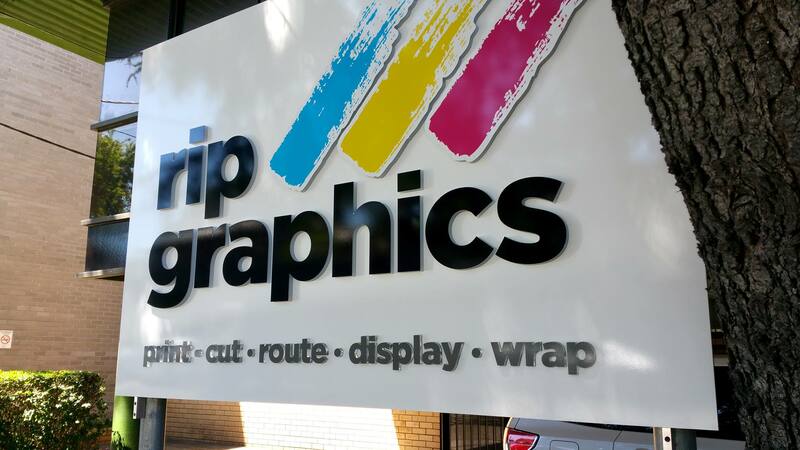 New Rip Graphics Sign Our new streetfront sign went up today on Wyndham St. All produced inhouse. Printed, cut and assembled right here. The 15mm thick acrylic logo gives it a nice depth. Printed on our HP Latex printers and cut on the Zund flatbed cutter. 2 New VW Crafter Full Van Wraps. to deliver real value for over 30 years.